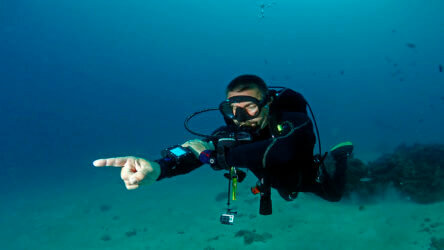 Phuket diving is always fun, we are simply referring to any dive that is not a training or certification dive. So a certified PADI Open Water diver who books a Phi Phi Island day trip tour with Local Dive Thailand, is a fun diver and on one of our day trip diving tours can do up to 3 fun dives that day, in this case it would be 2 at Phi Phi and one on the return journey home at Shark Point or Anemone Reef, depending on conditions. 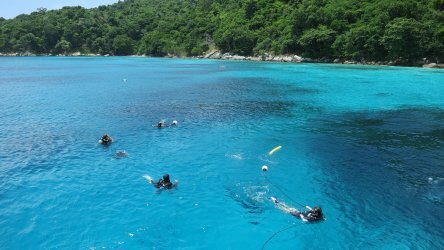 So if you are already a certified diver, PADI, SSI, TDI or other agency, you are welcome and encouraged to come fun diving in Phuket with Local Dive Thailand on one, or all of our scuba diving day trip tours listed below. We even have special deals for people wishing to do multiple day trip tours and see the full range of dive sites Phuket has to offer with our expert local guides! All of our fun diving in Phuket day trip tours include breakfast, lunch, snacks, pancakes, fruit, juice, water, tea, coffee and more, all inclusive in the day trip price. Beer and soft drinks are available for purchase on the boat. Please remember to bring some money with you on the day for tipping your guides and the boat crew and for beers and soft drink at the end of the day! All of our day trip fun diving in Phuket tours are 3 dive days. 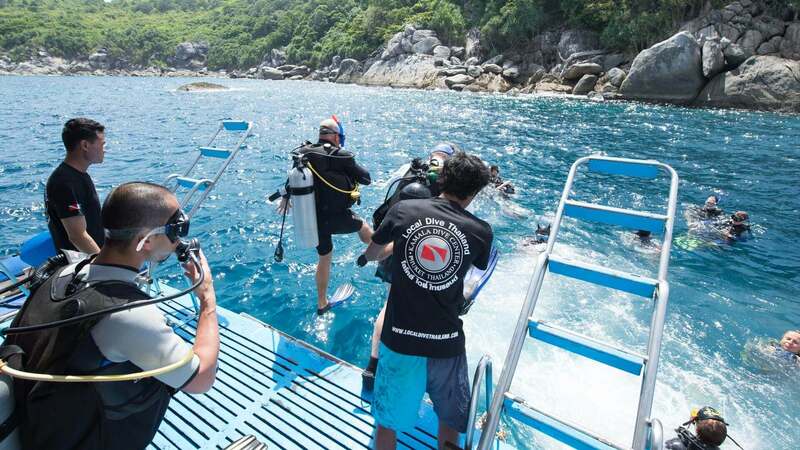 The only exception to this is extremely bad weather or a medical emergency, in Phuket, both of these are rare, so assume you will do three dives on one of our tours. That said, the dives are completely optional, you are not required if you are fun diving to do all the dives, you may pick and choose depending on how you are feeling. An example of a normal days Itinerary is below. Also please be aware that all dive sites and locations are chosen by and are at the full discretion of the day trips ‘tour leader’. He or She will decide based on currents, weather conditions and customer requirements the best dive sites to do that day. 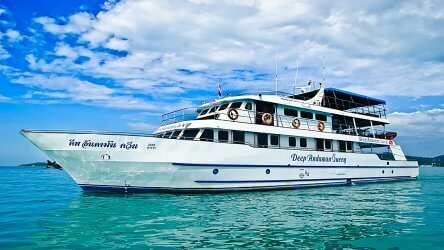 For example the Phi Phi Island day trip tour, we do two dives at Phi Phi, maybe Turtle Rock & Koh Bida Nok are planned but upon arrival there are 5 other dive boats at Turtle Rock, the tour leader may move the dive site to Palong Wall for safety and enjoy-ability of the dive. Then onto Koh Bida Nok, and on the way back Shark Point. Changes in the day trips dive sites are rare, but can happen so please be considerate and understanding that this was done with the best intentions. If you are diving with us on one of our day trip tours, we will pick you up and take you to the pier, where you will meet your dive guide and be taken to the boat. This is a free service for customers in certain areas of Phuket, if you are outside the free areas there will be a surcharge for pickup, we have included the pick up times and locations below. 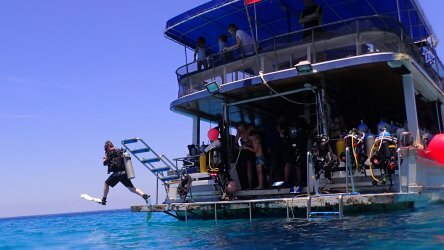 Certified scuba divers enjoy lower prices for day trip diving and fun diving than those doing a Discover Scuba Dive or a PADI course. This holds true all over the world, not just in Phuket or Thailand, it's a rather good reason to get certified if you are not already, or to improve your certification level, allowing you to dive deeper and potentially for longer! If you are not a certified scuba diver, you have some options, you can do a Discover Scuba Dive as an introduction to the underwater world and to see if you enjoy diving, or you can do your PADI Open Water certification and become a certified diver. What Is The Best Time Of Year to Dive In Phuket?